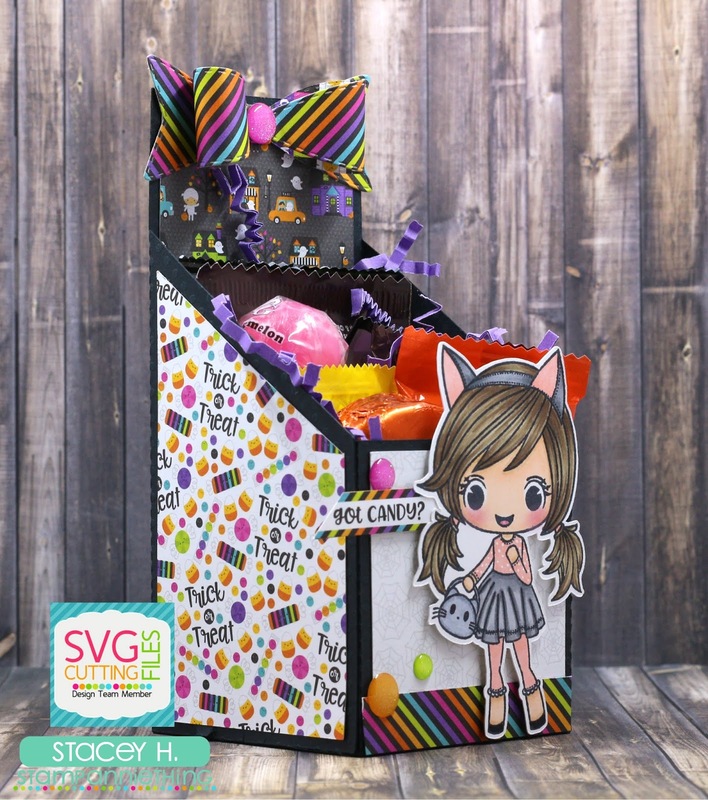 SVG Cutting Files: Got Candy? 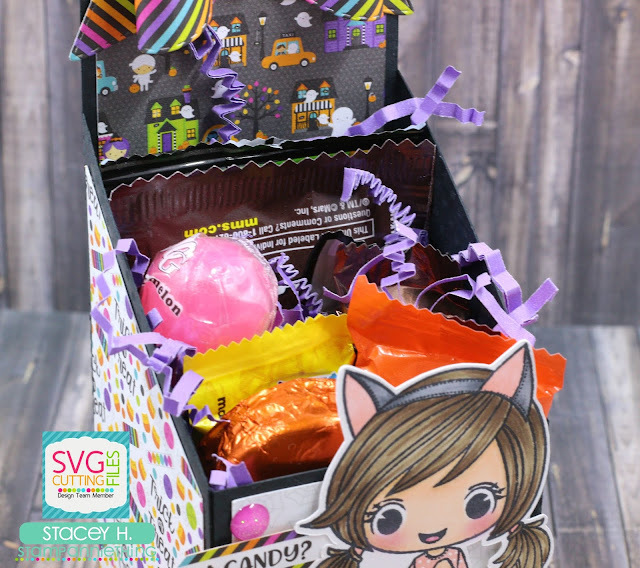 Stacey from Stacey's Creative Corner with you today and I am sharing a fun little Halloween treat box that I made using a file that you can find in the SVG Cutting Files store. I used the Angled Side High Box and decorated it with some fun and bright papers from Doodlebug. 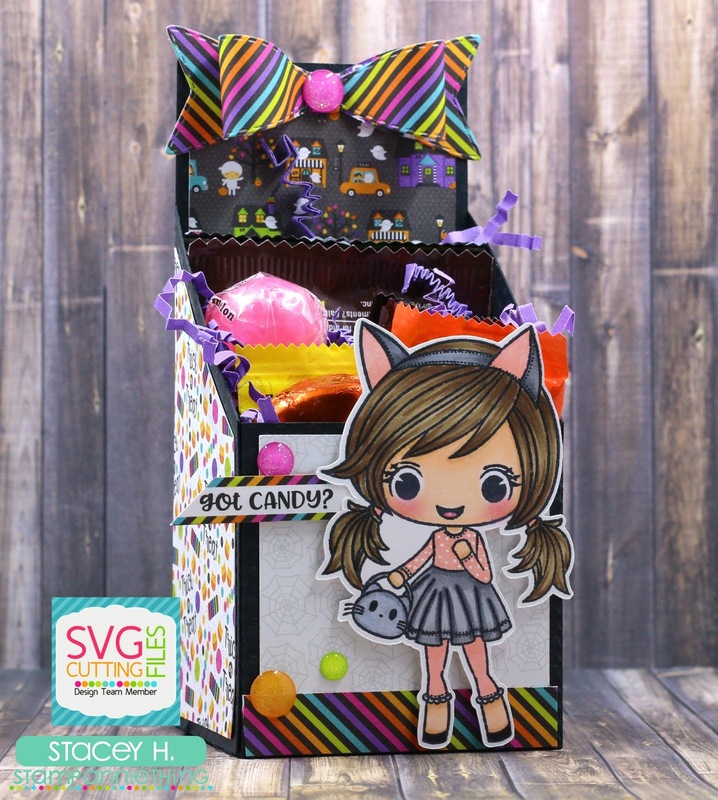 I also added that cute little Chibi girl, Kelly - You're Purrfect from Stamp Anniething to the front. The greeting came from the Doodlebug paper stack, I simply trimmed it down a bit. I used the Bow Dies from Jaded Blossom for my bow and finished my box with some enamel dots. This box is a pretty good size. Look at how much candy I was able to fit in there!! Cute treat Box! Love the adorable image!